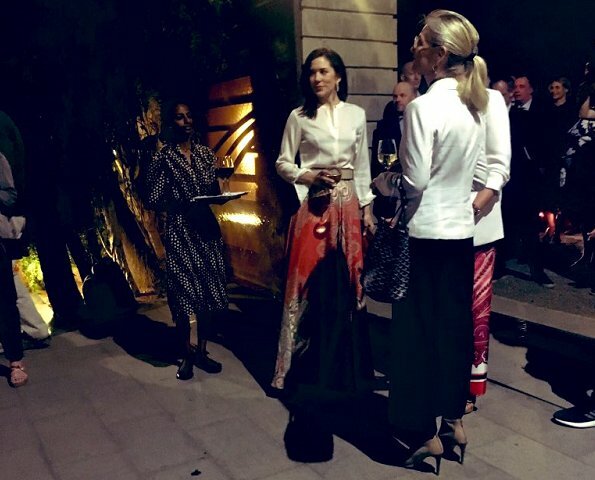 On March 26, 2019, Tuesday, Danish Crown Princess Mary attended a reception hosted by Danish Ambassador to Ethiopia, Karin Poulsen at Embassy residence in Addis Ababa, Ethiopia. 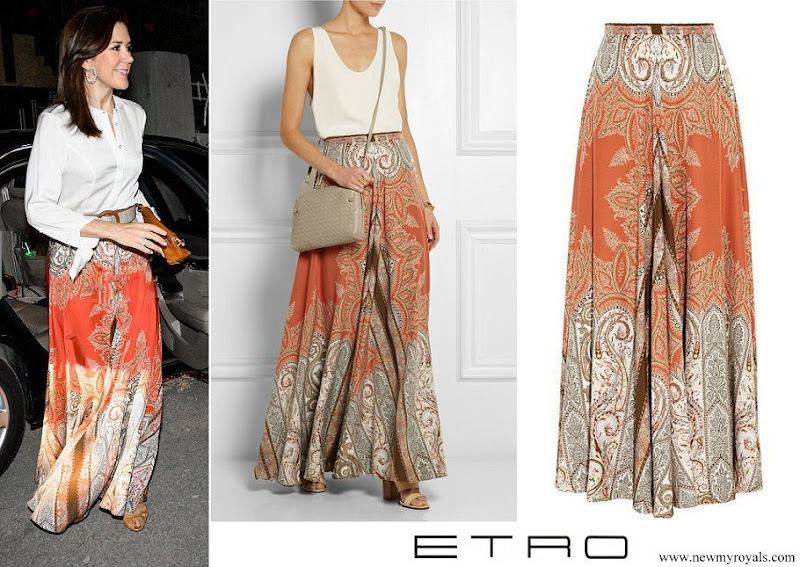 Crown Princess Mary wore a new printed silk crepe maxi skirt by Etro at the reception held in the evening. 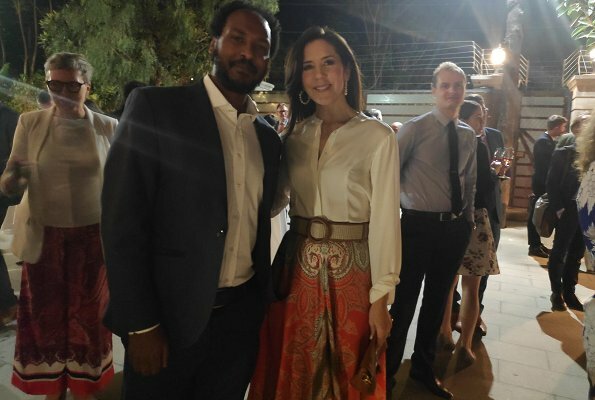 On March 25, Danish Crown Princess Mary arrived in Addis Ababa, the capital of Ethiopia for a three day working visit aiming to see on site the progress relating to SDG5 (Sustainable Development Goal 5). 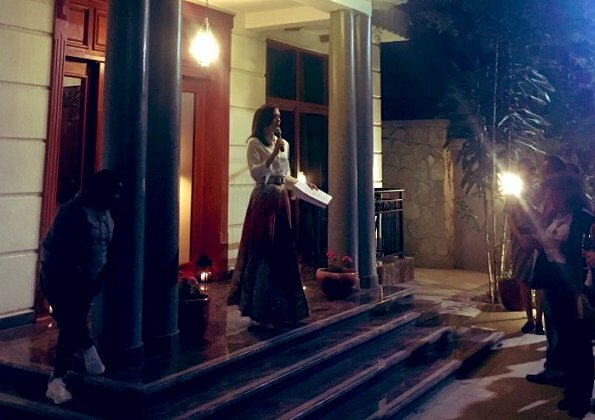 SDG5 is about the equality of girls and women, and the new Ethiopian government has launched several political reforms to ensure equality and democracy. Sehr schön, besonders natürlich der Rock. 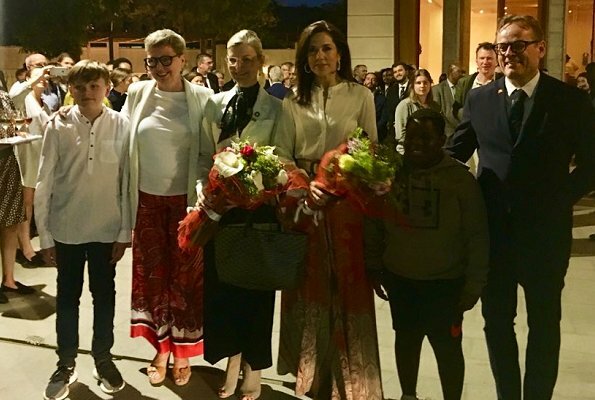 La reine Maxima porte aussi ce style de jupe lorsqu’ elle voyage . 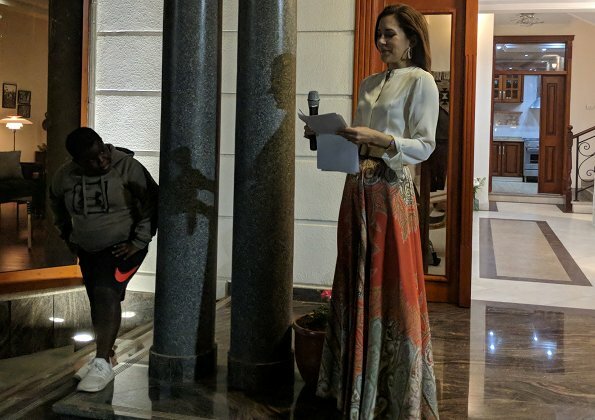 Wow, she looks fab in an outfit not everyone could pull off. I don't know much about fashion but Etro is a brand even I know. Beautiful clothes! 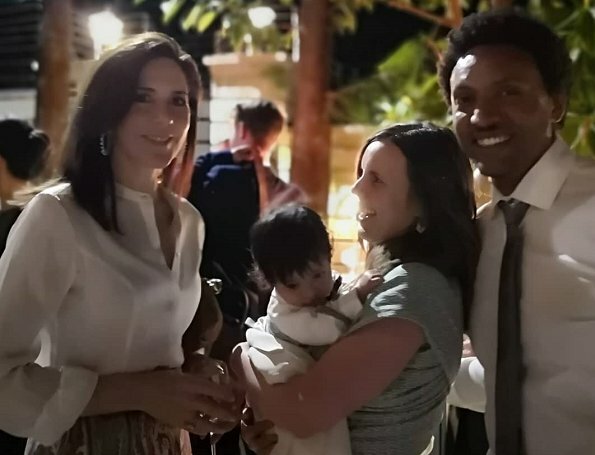 Mary looks wonderful as always - but the smile of the little boy is the best! Love, love, love Mary's skirt.